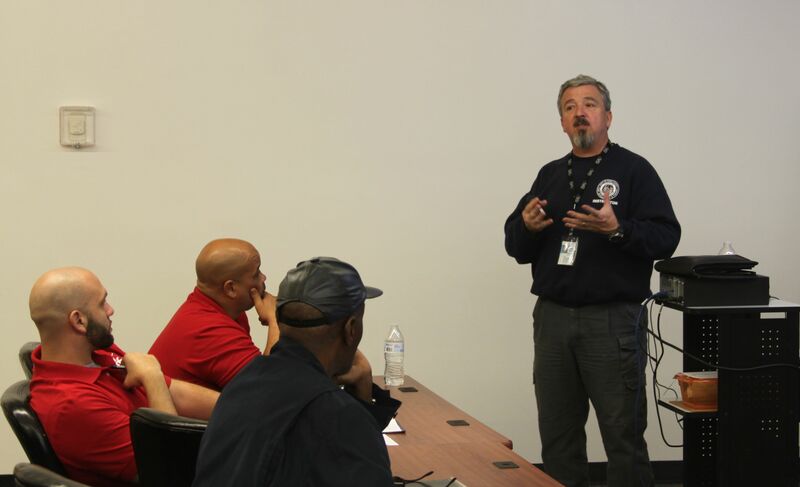 The recent four-hour in-service course was taught at the OSDT complex in Apex by Field Operational Manager Marvin Biggs (photo, below left) and Western Region Correctional Training Coordinator Christopher Brackett (photo, right) and consisted of correctional officers, supervisors and trainers. The fast-paced class not only demonstrated a “how to” approach in being aware of one’s work surroundings but was extremely effective in making one think about how best to be “situationally aware” and prevent situations from occurring. “We want to train for things that happen on your worst day,” Brackett said. The training was one of the action steps implemented as part of prison reform following the two tragedies that resulted in the deaths of five prison employees last year. The four hours of in-service situational awareness training was developed for various prisons facility staff, with training to be completed in the current fiscal year that began July 1. Two hours of situational awareness training was added to the Basic Correctional Officer training curriculum last Jan. 2. Next year, the SAT training will be increased to four hours during BCO training. So far, close to 80 sessions of nearly 1,100 prison employees have participated in the training. Correction Enterprises has had 477 employees participate in the training. A major cause of a lack of situational awareness at work is people letting their guard down if they aren’t thoroughly engaged in their jobs or getting too comfortable in their work environment. Brackett said while people are at work, they need to be aware of their needs at any moment, what they are thinking, what emotions they are experiencing, what triggers a traumatic remembrance, how you process emotionally distressing material, what works work in your life, and what gives you joy. “You need to take that moment and pause to assess the situation,” Beckett said. 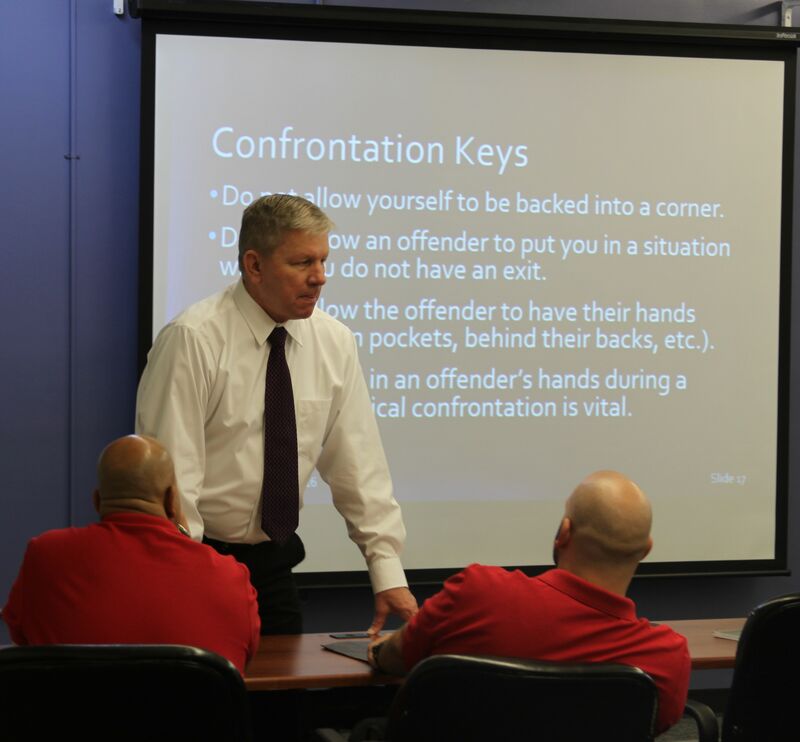 Biggs delved into responding to emergencies and how to be aware of an offender’s physical and emotional positioning when confronted during a stressful situation. He said staff needs to report anything unusual and be adaptable depending on the circumstances. That means knowing where you are and not putting yourself in harm’s way. “Be responsible for yourself,” Biggs said as he presented a section on “types of behavior” by offenders. Knowing the difference between normal behavior and overt/covert behavior could be the difference between stopping a situation through communications or taking physical action.